I spoke with Monocle 24’s The Briefing on Monday about this week’s trip by Cuban President Miguel Díaz-Canel — the first leader not named Castro since the 1959 Revolution — to the UN General Assembly in New York. 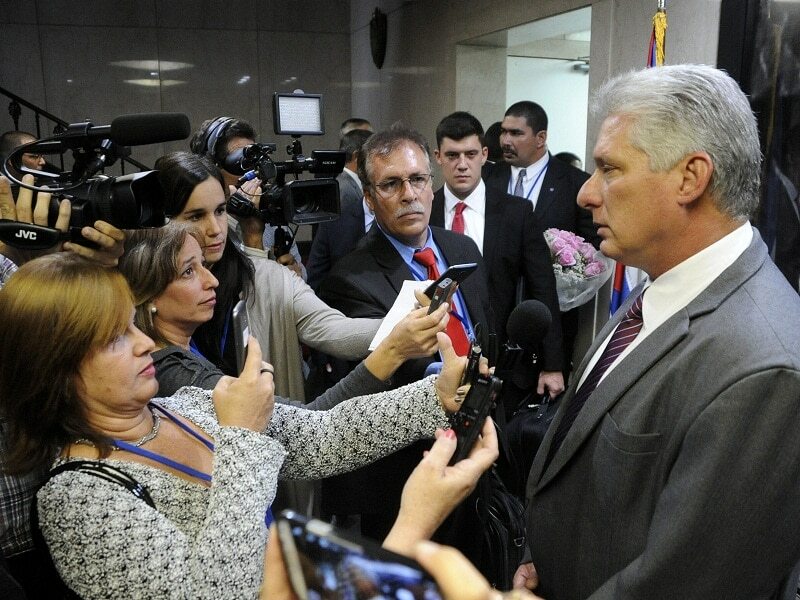 The discussion looks at Díaz-Canel’s goals as the Trump Administration pushes back Barack Obama’s process for better relations with Havana, including the maintenance of almost 60-year embargo on the island. Díaz-Canel knows that he is not going to get any easing of the US line, certainly under Donald Trump — he thinks the Trump Administration is not reliable. Instead, we are looking at his message back home, to maintain support as the new leader in a country with a quickly-changing economy. And he will be talking to others: to Europeans, to other Latin American states, to anyone who can offer economic and political links.